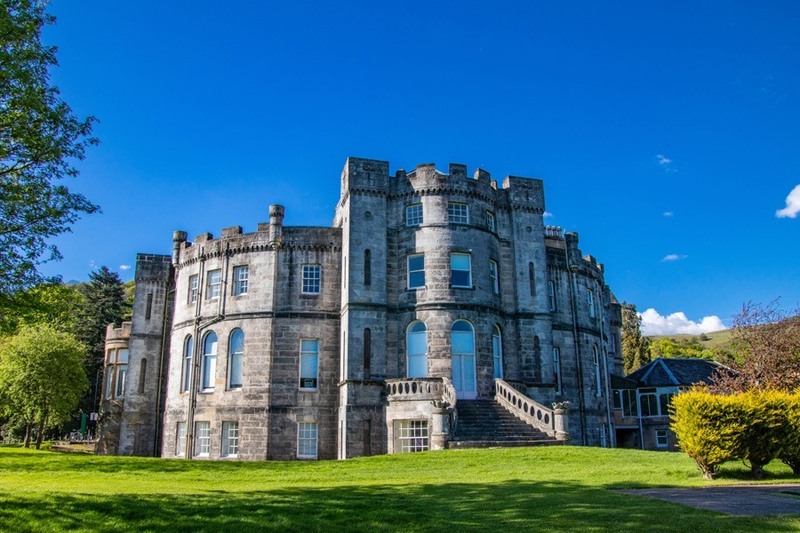 The present Airthrey Castle was built around 1792 but it stands on the site of a probable earlier castle. The lands are first mentioned in the early 12th century and in 1370 the estate was granted to Sir John Herice, Keeper of Stirling Castle. In the 15th century Airthrey was granted to William Graham, 3rd Lord Graham, for gallantry shown during the Battle of Sauchieburn. The Grahams retained the estate until 1678 when it was bought by John Hope of Hopetoun. Airthrey was sold to Captain Robert Haldane of Plean in 1769 and in 1790 his great-nephew Robert Haldane commissioned Robert Adam to build him a new castellated mansion which is thought to have been completed around 1792. Just six years later however Haldane sold the property to Sir Robert Abercrombie and it remained in the Abercrombie family until 1889 when it was bought by Donald Graham. 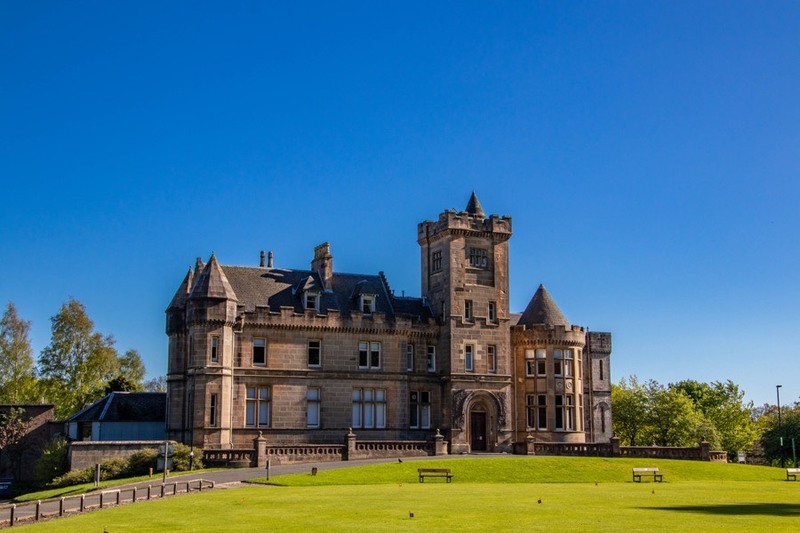 Graham was responsible for commissioning David Thomson to completely remodel the north façade in the early 1890s in a late Scots Baronial style. 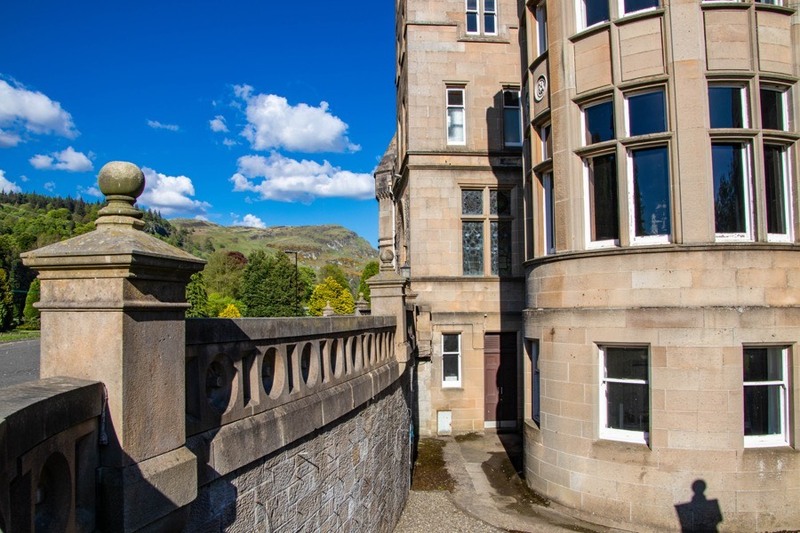 The house was used as a maternity hospital during the Second World War and continue to serve this purpose until 1969 when it was absorbed into the newly-established University of Stirling which had opened in 1967. Airthrey Castle is in the parish of Logie (Stirlingshire) and the county of Stirlingshire. Published on the 17th of April 2017 at 12:24 pm. Updated on the 20th of July 2018 at 5:50 pm.